The Bullmarks were released some time in the early 1970s in Japan. For a long time there was speculation that the aliens were licensed to Bullmark by Colorforms, but in recent years Mel Birnkrant revealed that that is absolutely not the case, these were just another in a long line of unlicensed knock offs. Mel changed the Wikipedia listing to reflect this but someone changed it back to state that they were licensed. 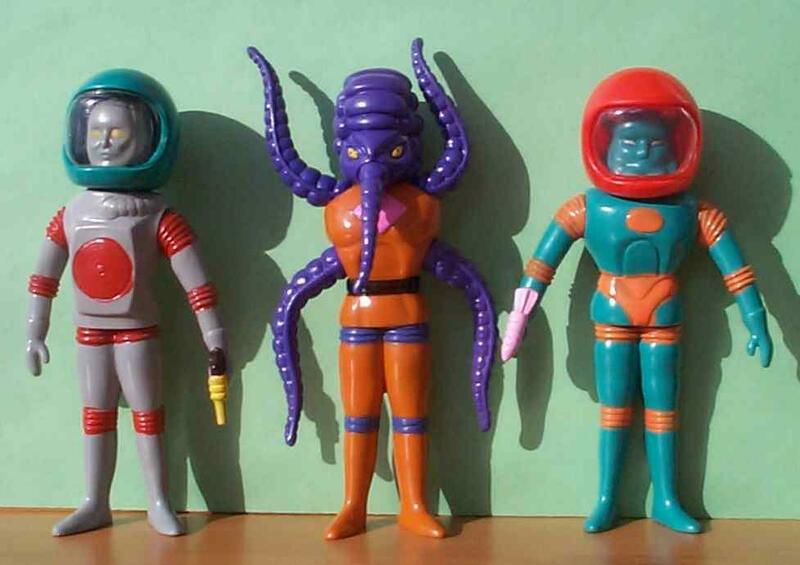 These aliens are 8 3/4" tall, making them 2-3" bigger than the Colorforms versions. 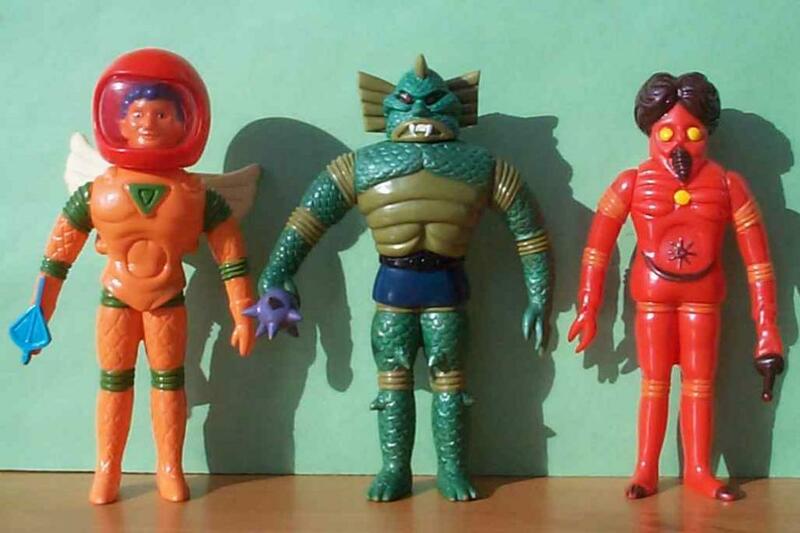 Astro-Nautilus appears to be the rarest one of this bunch. There is no Alpha 7. Below is a Colossus Rex Bullmark alien still sealed in it's original package.